Gourmet week menu is a set-menu. Has a selection of salads, soups, starters, mains and desserts. Menu pricing is set at 2k (excl tax). Now let me dive into the menu. 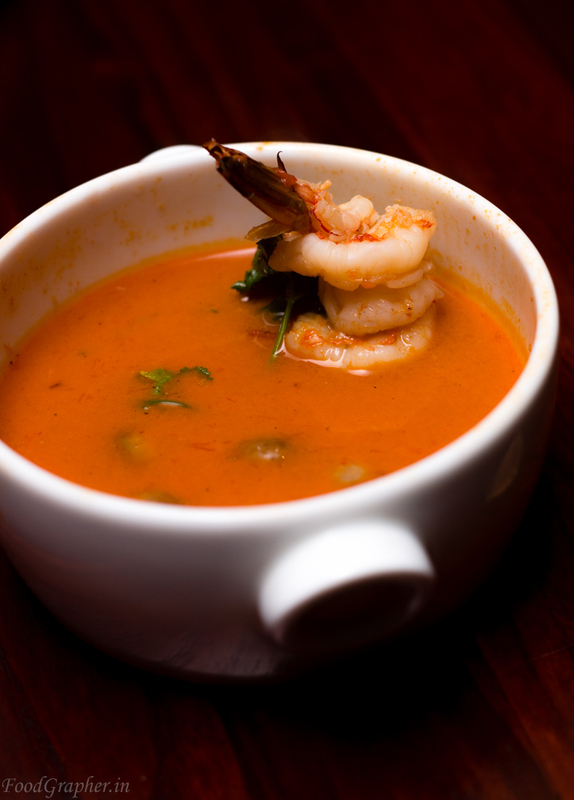 There were two soup options, obviously I went in for the non-veg option, a spicy and sour Thai prawn soup, Tom yum goong. It tasted good and spicy enough for me, and had two huge prawns to chew on. My friend went for the veg option, I didn’t get to taste the soup, but had a bite of the accompanying blue-cheese toast, it was amazing on the taste buds Moving onto starters, again there were two to choose and I went for the non-veg option, which was Som Tam – nice big pink chunks of tuna, seared and crusty with nuts, layered on a bed of raw papaya salad, snake beans and cherry tomatoes. Tuna was rightly done and the salad bed was just yummy. The portion itself was good enough to be a main rather than a starter. Veg option was a cold mezze tasting platter with pita bread. I am used to the soft pita breads, so the crispy ones served here didn’t feel so yum to me, and the dips were just good. Now coming to the mains, there were two non-veg options, crispy fried fish and then the lamb kebab. I chose the kebab. 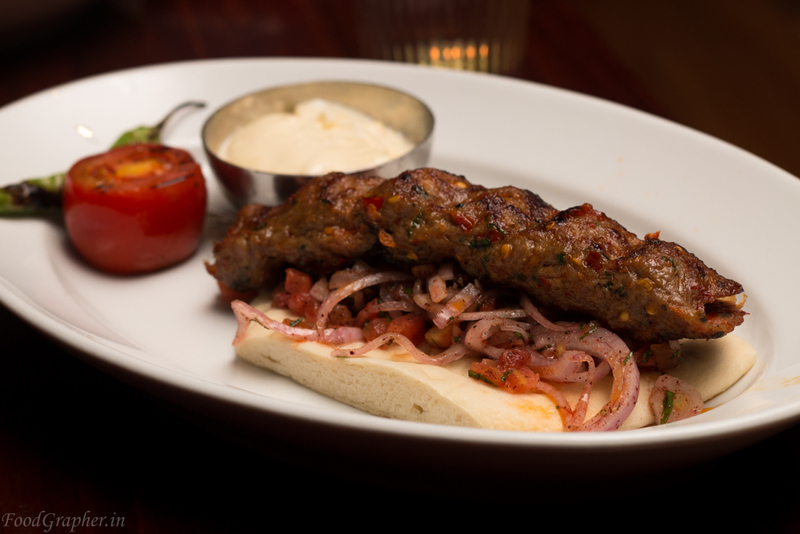 Lamb Adana Kebab – a long piece of kebab on a bed of pita bread and tangy salad. Even though the portion looked a bit small considering it as a main, but it was just filling enough. Kebab tasted good and chewy, and the pita bread served with this was soft, yay!. 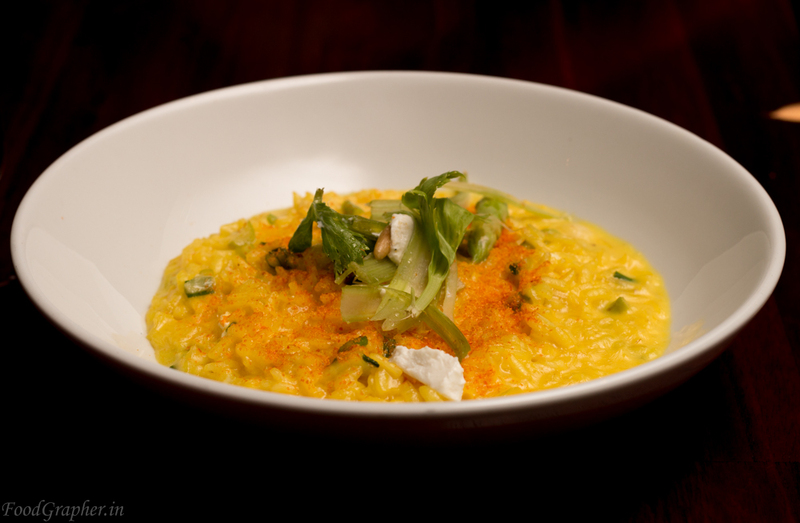 On the other hand, my friend had chosen the Asparagus and saffron risotto. Risotto had good flavour, wished it could have been served hot. Onto the final course, Desserts. There are just two options, The Flying Elephant chocolate cake and Strawberry Romanoff. 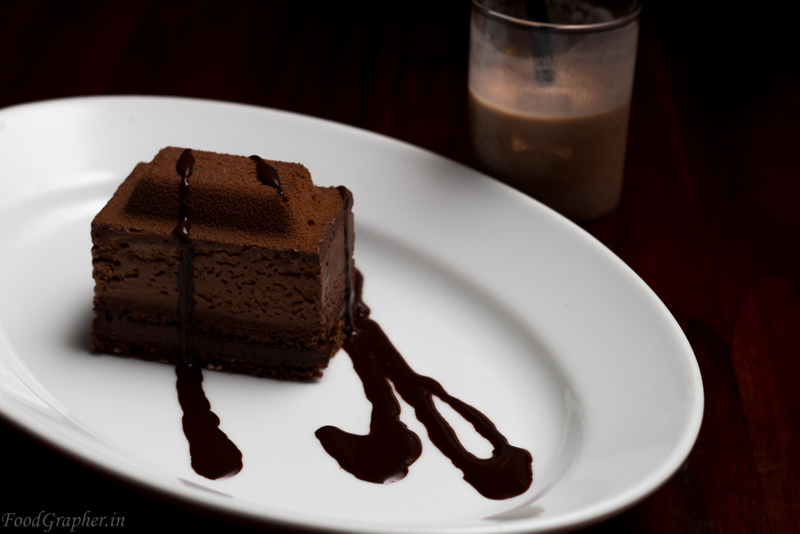 The chocolate cake was served with a shot of cold chocolate and tasted good. 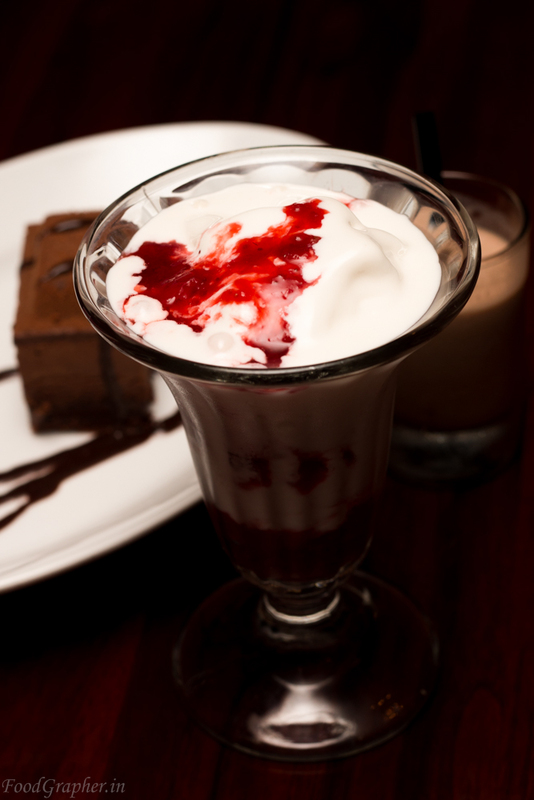 Strawberry Romanoff was just vanilla icecream served on top of strawberry puree. Being a ‘big’ dessert guy, I just missed the wow factor in both. The Gourmet menu brings together the mix of best dishes from the cuisines offered and is worth a try. 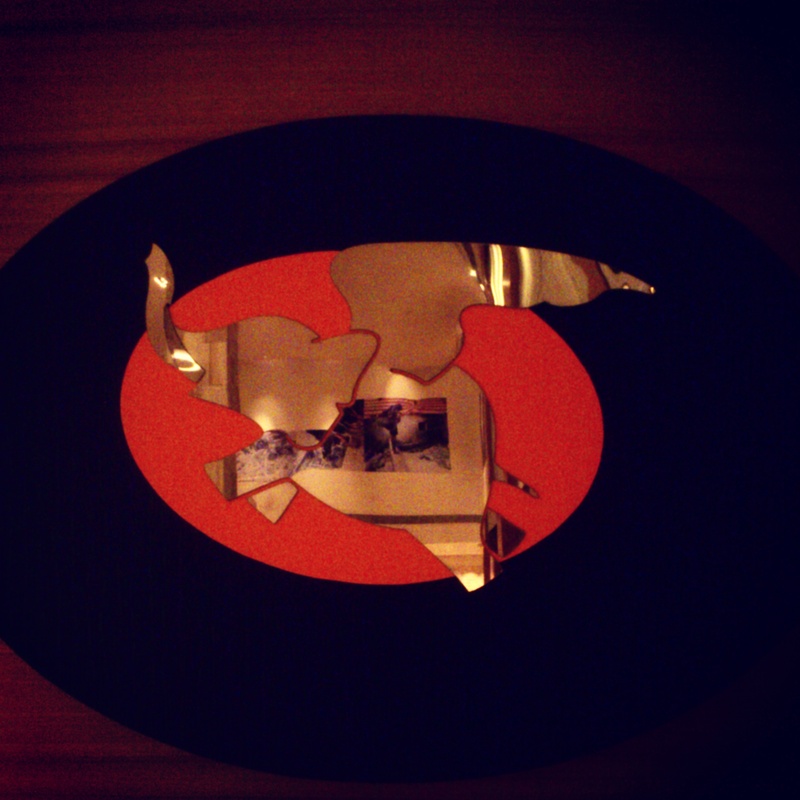 To me, it is the experience and the food that matters, and Flying Elephant wins with flying colors. TimesCity Gourmet menu is on till Sept-7th 2014. Do check it out. Even if you miss it, these items will be always available on the regular menu, but with a different pricing. This entry was posted in Asian / Pan Asian, Continental, Indian, Italian / Italian Mediteranean, Non-Vegetarian and tagged adana kebab, Park Hyatt, som tam, The Flying Elephant, tom yung goong. Bookmark the permalink.